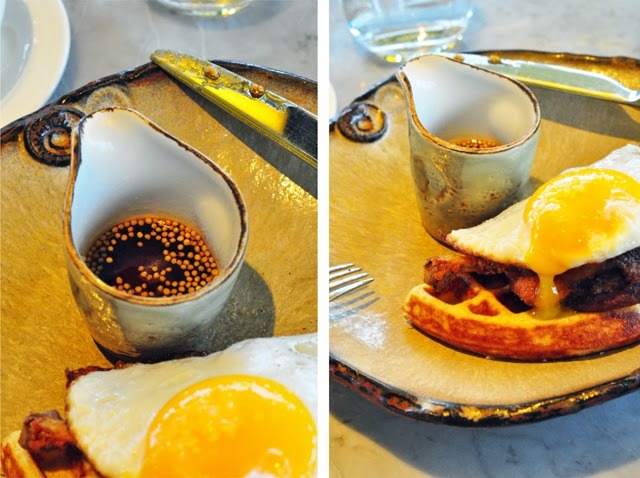 Yesterday I had the great pleasure of dining at Duck &Waffle in the city. Located on the 40th floor of the Heron Tower in London’s city centre, simply stepping into the lift was an experience I’d say was worth the “price of admission.” I mention this first, as you have to be a person that is fearless when it comes to heights. The lift is all glass and you see the city unfold before you as you are airlifted into the sky at scary speeds. For the first time in my life, I had a chill up my spine as we climbed high above the London buildings to reach my dining destination. That all being said, what awaited me on the 40th floor was well worth the brush with the fear of heights. I had been invited for a breakfast catch up with the lovely folks at LK Bennett, a brand that needs no introduction. The three of us thought it only appropriate to think outside the box when it came to breakfast when you are sitting in a place called Duck & Waffle and are watching the clouds roll in around you from so far atop the city. So we threw caution to the wind and ordered the dish that the restaurant is named for – the duck and waffle. Now I must start by saying that last time I was in Los Angeles I had chicken and waffles for the first time. 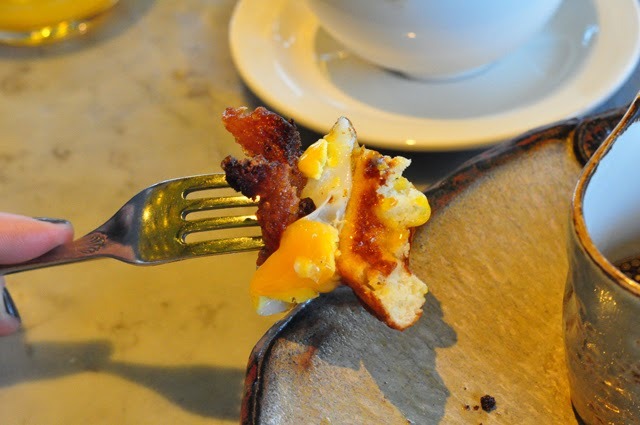 It was a dish I fell in love with, but one that I certainly was glad I couldn’t indulge in every morning. There would be trouble… and a heart attack on the horizon. Duck and waffle, however, is a completely different kettle. 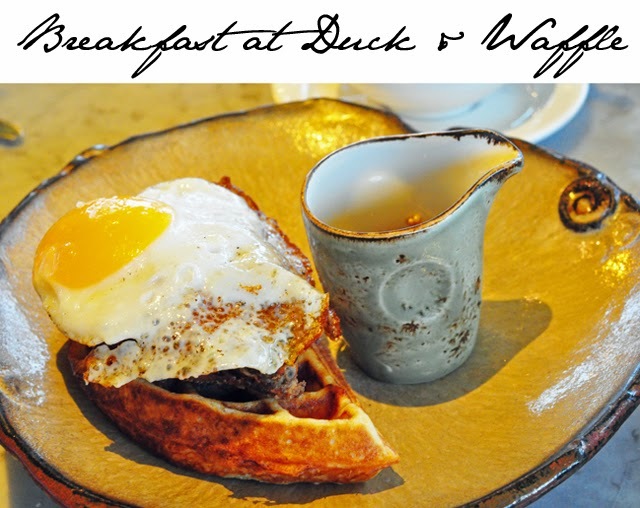 You still get the sweet and savoury mix which makes this is a dish that deserves the nickname “heaven on a plate,” yet the duck is so fantastically tender and succulent that it melts in your mouth along with the mix of fried egg, maple syrup and Belgian waffle. I give this place my full marks for excellence and fully intend on going back for another visit… if only to try their famous Peanut Butter and Jelly!